This was a fantastic collaboration with a Birmingham Jeweller from the Quarter, I have had the pleasure of working with him before. His work is so detailed, its always a compliment to contribute quality to his projects. 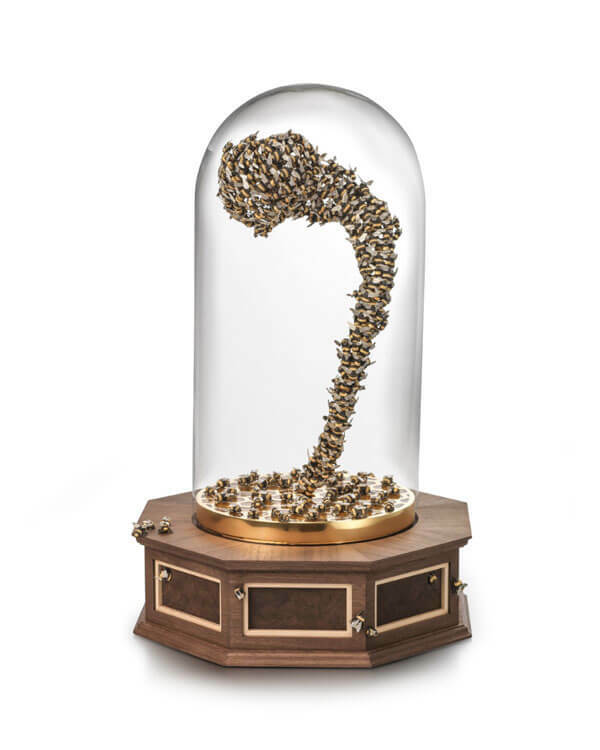 Hundreds of bees made individually from several layers of gold and silver. Carved and textured to look life like-each bee is different. The swarm rotated using a silent motor and battery pack. My job was to make a plinth in keeping with the theme, to house all electrical items internally. Working with bee’s, the base had to be hex in shape. A traditional looking base using mouldings and inlays. Within each segment I have Walnut burr panels, a great figure in the grain to mimic a swarm of bees . 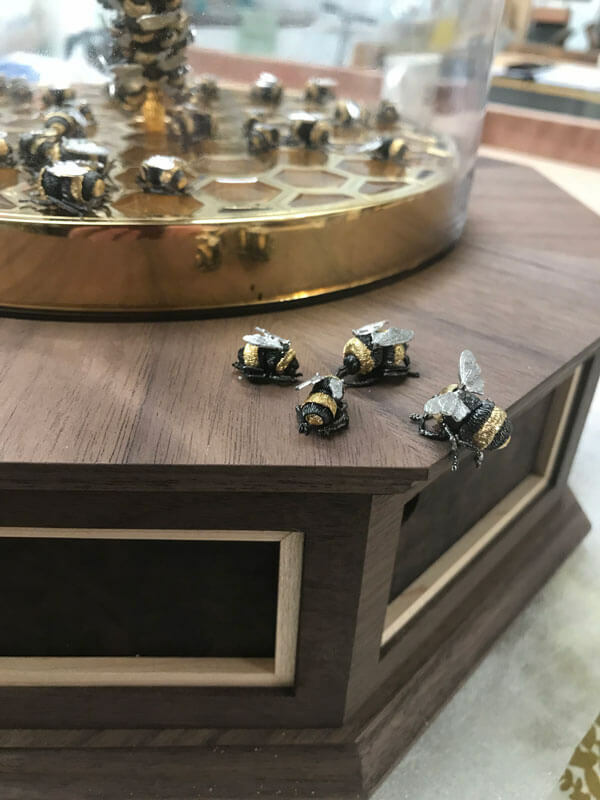 The two bees on top of the base were mounted on the working buttons to hide all motion controls.